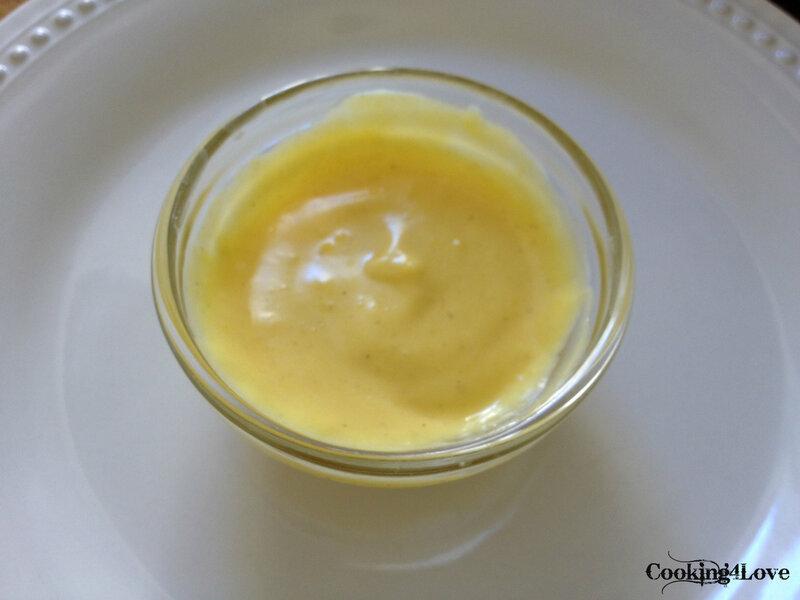 As you may (or may not) know, I have a great light Hollandaise Sauce already on here, but decided to give you another one that I’ve been using for a while and only takes five minutes to make, if that. And, this one has even fewer calories than my other recipe! Score! While it’s not as creamy as the other recipe, since there isn’t any heavy whipping cream, I still think it’s delicious and really great if you’re short on time. This recipe yields one serving so double/triple it, if necessary. Put butter in a coffee cup (if making one or two servings) or a bowl (if making three or more servings), and microwave for about 15 seconds, until just melted. Separate egg white & yolk, and add yolk to cup. Stir together well with a fork (or a whisk if using a bowl). Add lemon juice and white pepper, and stir. Put into microwave and set the time to 30 seconds (although you probably won’t need that much time). When the timer shows 22 seconds, open the door (pausing the microwave), remove cup and stir the hollandaise sauce vigorously with the fork. Return cup to the microwave with the hollandaise sauce and press “Start” again. Allow only about 7-9 seconds to pass, then repeat: open the microwave, remove the cup and stir the hollandaise sauce vigorously. Continue to stir and cook until the hollandaise sauce is light and fluffy. Remove from microwave and add mustard, stir well. Taste, and adjust seasonings of lemon juice and pepper, if desired. Serve over your food and enjoy! This entry was posted in Recipes, Sauces, Condiments, & Marinades and tagged butter, dijon mustard, hollandaise, lemon, microwave, Sauce, white pepper. Bookmark the permalink.